Seit 2013 veröffentlichen Night Flowers im Eigenvertrieb oder über das kleine Indie-Label Dirty Bingo Records ihre Songs, bis zum Debütalbum sollten aber insgesamt 5 Jahre vergehen. Im Verlauf dieser Zeit wurde die ein oder andere Stelle im Lineup neu besetzt, so dass das Quintett nun aus den ursprünglichen Mitgliedern Chris Hardy (Gitarre, Gesang), Greg Ullyart (Gitarre, Gesang) und Zebedee Budworth (Schlagzeug) sowie Sam Lenthall (Bass) und der aus Boston stammenden Sophia Pettit (Gesang, Keyboards) besteht. Auf „Wild Notion“ befinden sich 10 Songs, die zwischen süßem Indiepop und romantischem Dreampop liegen und Freunden von The Pains Of Being Pure At Heart, Alvvays oder Fear Of Men gefallen dürften. 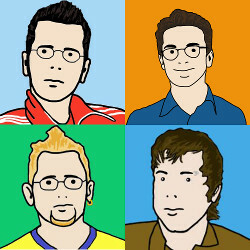 Wem das noch nicht ausreicht, darf sich noch über ältere Singles wie „Glow In The Dark“, „Sleep“ und „Single Beds“ oder die „Night Flowers“ EP mit vier Songs freuen, die alle für das Album nicht berücksichtigt wurden. „Wild Nothing“, das als Download, CD oder LP käuflich zu erwerben ist, ist die letzte Platte, die, zusammen mit dem Produzenten Adam Jaffrey (Spector, Beach Baby), im Unwound Studio im Londoner Stadtteil Hackney aufgenommen wurde, bevor dieses Luxusappartements weichen musste. Wild Notion opens with a track called Sandcastles, immediately setting the romantic tone for the entire album. The summery title and lively melody are guaranteed to get your head nodding contently, while Pettit’s ethereal voice gets straight to work on the heartstrings. Flowing seamlessly into Night Alive, and into the carpe diem-inspiring Resolver, the lyrics that talk of leaving it all behind will easily kindle a sense of wanderlust in any listener. The standout track on Wild Notion, however, is definitely their experimental sixth track, Head On. With slower pacing and a more atmospheric melody, Night Flowers become strikingly reminiscent of The Cure, underscoring the overall romantic vibe of the album. That vibe is further enhanced with the beautifully final note struck in closing track Cruel Wind. Clocking in at just over seven minutes, the feeling of farewell in Pettit’s yearning vocals brings Wild Notion full circle with this track. Pettit’s warm tones are front and centre on Wild Notion and provide the record with its primary sonic and emotional throughlines, although that isn’t to say that you get the impression that the rest of the band were waiting for the right vocalist to come along to act as an anchor for their instrumental impulses. 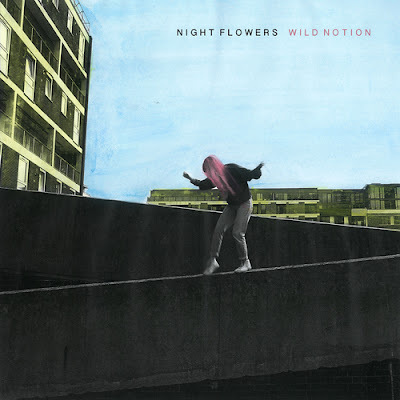 Night Flowers nod to dream-pop and psych at points on Wild Notion but they never get lost in them; the soundscapes are carefully controlled, with handsome, chiming guitars ringing out over undulating beds of synth. Diese Platte verdient 8 Punkte.